The PEN Ten is PEN America’s weekly interview series. This week, guest editor and executive director of the Asian American Writers’ Workshop Ken Chen speaks with Muna Gurung. So as a PEN Ten editor, I’ve been trying to highlight innovative emerging writers of color that you might not have heard of. For this installment, we’re lucky to talk to Muna Gurung, a fiction writer who is one of the first recipients of The Margins Fellowship from the Asian American Writers’ Workshop. Born in Singapore to a Nepali Gurkha soldier, Muna relocated to Kathmandu, Nepal at the age of twelve. In the last few months, she’s been deeply involved in fundraising for Nepal earthquake relief. You can check out her work online in Vela and La.Lit. Below, Muna discusses telling her parents that most scandalous thing (that she will become a writer!) as well as her parents’ village in Nepal and her love of the Squeegee. I never thought of myself as a writer until I was introduced as one two years ago at a public event. I always thought that one could only be a writer when one publishes a book and it sells in at least two continents. Sure, it was arbitrary, but not entirely so because the question that always followed was: “Where/what have you published?” So, it wasn’t a surprise that I only felt a tiny bit like a writer after I published my first story in a local Kathmandu newspaper. I realize now that the question of identity starts with language, so when I teach my students today, I refer to them as writers. The question of identity as being tied to your work or “what you do” is a tricky one. I don’t think my parents exactly understand what their children do for a living. Unless you’re that doctor, engineer, or pilot, in Nepal we just say we have “kaam” or “work;” we work. It isn’t a surprise that my parents find my “teacher” identity easier to share with relatives than my writer identity. I remember when my father asked me to write down what it was that I was studying in graduate school—I wrote down the letters M-F-A in Nepali and told him I was learning how to write stories. He had the most confused look on his face. “And what will you really be after you’re done?” He had asked. So many writers to name! But I must say, Arundhati Roy’s sentences and heart in her stories for both her fiction and non-fiction. And all of Chimamanda Ngozi Adichie’s talks, every word of it. While in the United States, I like to write in my kitchen. I live in a one bedroom in Queens with a kitchen counter big enough to fit a bowl of cereal. But some genius renovator installed a small island a foot away from my stove. I may not be able to fully open the oven door but the island now serves as my food prep space, dinner table, and writing desk. That’s where I write—between the chopping board and the drying rack. In Nepal, I can’t write at home—maybe because I think of that house in Kathmandu as my parents’ home and not mine. My room might as well be part of a museum space curated to make any visitor believe I will forever be a 10-year old. It’s not my room. So I cycle to two cafés to write: one has wi-fi, amazing coffee, and rich pastries, and the other one is in the old part of town; it has no wi-fi, serves Nescafé and makes you feel like you’re living inside a tree. I wonder now if the old café is still there after the April and May earthquakes. Cleaning. I love scrubbing burnt pots and sticky kettles with SOS steel wire; picking the dried yolk scalp forgotten between the tongs of a fork; Swiffering floors in two distinct steps: 1) first grabbing lint from all corners with the dry cloths, and then 2) shining the surface with the wet scented ones. As a child, I used to watch men in Singapore lather a window with soap and water, and then use a Squeegee blade to cut across the grease and dust to reveal a crystal clear reflection of themselves. I envied their job. I wanted to grow up and clean all my neighbors’ windows. I wanted to walk around with Squeegee satisfaction, Squeegee pride. I finally got to clean my first window in Chicago in 2008. I wrote about a family member and his secret. I know that many writers do it and there are stories and even jokes about families becoming estranged, ties being broken, etc. I saw my act as daring at the time and I even felt self-righteous. But now, I think it was a selfish thing to do. How can writing be daring if it hurts a loved one? So now, I write as an act of vulnerability. I write to show that being weak is strong, is daring. As of a year ago, I have begun to write about being a victim of sexual violence at a young age—something that many children, unfortunately, experience. Looking inward has been daring. To find, create, preserve, and provide languages to pains and truths. To listen. I remember a graduate seminar where we would have long discussions on whether writers could write for art’s sake or if all writers had to have social responsibility. I still feel that some of us can’t afford to write for art’s sake, but the word “afford” might be trite, too simple, even defensive. For me writing has to do both; it has to approach difficult social issues in an honest and artful way. Writers are not only people, we are a medium, and we don’t write in a vacuum (as much as we believe we do), so yes, we have a collective purpose, and yes, our writing especially has a role in all social justice issues. Another purpose is to show up, be present: in the wake of the earthquakes, I have seen and heard of artists, writers, poets springing up to listen, to share, and to heal together through their craft. First, I thought of The History of Love by Nicole Krauss, because Leo Gursky as a character should convince the leader that writing and stories hold truths. But then again, if said leader imprisons writers, then s/he might not have the time to sit and read an entire book. But writers are so amazing that s/he doesn’t need to read an entire book, they can just read the last small section from Amy Hempel’s short story “In The Cemetery Where Al Jolson Is Buried;” yes, that section about the chimp. In a small village in Parbat, where my parents are from, they say that we have eyes on our backs—a pair lodged right under our shoulders. At night, after we are done with our chores outside and just as we enter our homes, if we feel the darkness behind us, and our shoulders tingle, it is because our invisible eyes have opened. They have seen something we didn’t know existed. I am assuming that crossing from observation to surveillance must feel like the opening of these invisible eyes. 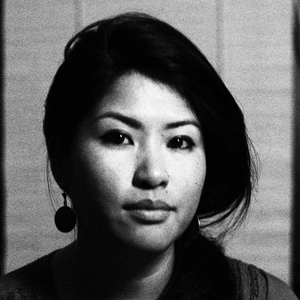 Muna Gurung will read with novelists Mira Jacobs and Prajwal Parajuly and musician Tuelo Minah at a Nepal fundraiser on Thursday, June 4, at the Asian American Writers’ Workshop.